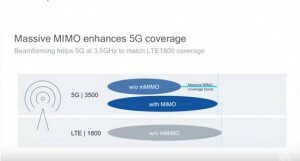 Before yesterday’s Axios article suggesting that President Trump’s National Security Council has set its sights on using the 3.7-4.2GHz satellite C-band downlink spectrum for a national 5G network, it was clear that analysts were underestimating the importance of this spectrum band for the US wireless industry. For example, Morgan Stanley’s January 17 downgrade of DISH Network identified Verizon as the “only suitor” for DISH’s spectrum but only suggested the CBRS auction as an alternative option for Verizon to acquire more spectrum. It seems few people have read the reply comments filed by wireless operators in the FCC’s mid-band spectrum proceeding last November, where Verizon suggested there should be a a near term NPRM with market-based clearance mechanisms, rather than FCC-run auctions for this band. In contrast, AT&T asked for “substantial record development, including additional analysis and modeling” before the FCC moves forward with an NPRM, and T-Mobile said the FCC should reject Intelsat’s proposal and instead take control of the auction process, with a defined post-auction band plan and payments to incumbents from the auction proceeds, part of which would fund the clearance of existing users. A logical conclusion is that Verizon believes it could be the sole player to acquire spectrum rights in this band (to supplement its 5G mmWave buildout plans) via a deal with Intelsat, while AT&T has relatively little interest due to its focus on the 700MHz FirstNet buildout and securing additional mmWave spectrum allocations, and T-Mobile is trying to ensure that Verizon is unable to monopolize this spectrum band by asking for a more open auction process. One important consideration is that the power restrictions that will apply to the CBRS band to permit spectrum sharing may not be necessary above 3.7GHz and therefore with MIMO this band could be deployed for urban coverage on approximately the same cell grid used for PCS and AWS spectrum, as Qualcomm and Nokia have indicated, and as is planned in Europe, where the 3.4-3.8GHz band is being auctioned. Since the reply comments were filed, Intelsat has continued to push hard for a near-term NPRM and given the difficulties that the FCC would encounter in defining how a “market-based” transaction should occur, it is entirely plausible that an exclusive spectrum deal between Intelsat and Verizon could be struck shortly after a draft NPRM was issued. By selling say 100MHz of spectrum to Verizon, Intelsat would establish a benchmark valuation for its C-band spectrum assets, while being able to maintain existing video distribution services within the remaining 400MHz of spectrum. Of course, Verizon would also presumably be happy to see Charlie Ergen left at the altar without his “only suitor”. The Trump NSC memo only serves to increase the pressure to execute such a transaction, and pre-empt any (still remote) possibility of the spectrum being “nationalized”. Verizon could certainly promise to build a 5G network using this spectrum within 3 years, without government intervention, and gain an even more concrete lead in 5G network superiority. Meanwhile Intelsat (and other satellite operators including SES) could keep providing their existing C-band video distribution services and receive billions in cash plus additional billions in attributed spectrum value for the remaining 400MHz of spectrum, and the FCC could achieve a pioneering market-based transfer of spectrum to higher value uses. What’s not to like about that deal (unless you are AT&T, T-Mobile or DISH)?